What is “Plátano Power”? This is a question I’ve been getting since I’ve fully embraced the Dominican Republic’s World Baseball Classic team, and associated #PlátanoPower hashtag. Plátano is the spanish word for Plantain, a large banana-like fruit. Unripe green plantains have a flavour similar to a potato, while the ripe, yellow version has a flavour similar to that of a banana. But what do they have to do with the Dominican Republic’s national baseball team? Nearly 10% of Major League Baseball players hail from the Dominican Republic. The country is a baseball powerhouse. In the first iteration of the World Baseball Classic in 2006, the Dominican Republic advanced to the championship round, eventually falling to a powerful Cuba squad. Team DR finished fourth in the tournament. In 2009, the Dominicans lost to the unheralded Netherlands team not once but twice in the first round. The team was embarrassed and devastated at their first-round elimination. Determined to avoid the same fate in 2013, the Dominicans ran the table, winning the championship and finishing the tournament with an 8-0 record. To what do the Dominicans credit their successful rebound? An overhaul to the roster? A strategic paradigm shift? No. 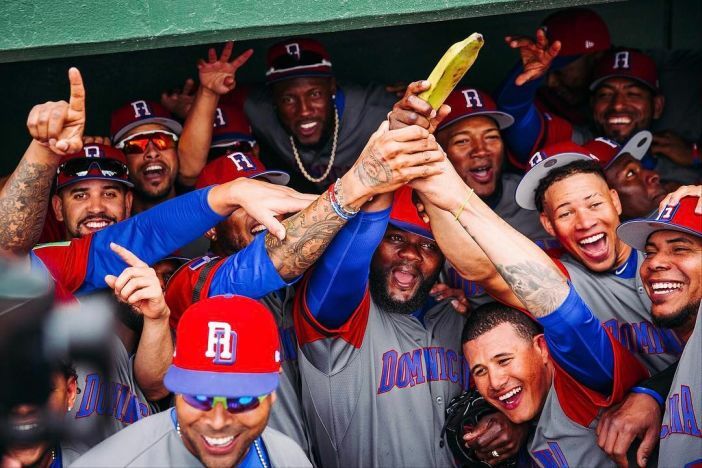 The secret to the Dominican’s success is Plátano Power. Plantains are a year-round staple of the Dominican diet and it has been that way since the country was first settled. The Dominican national dish, Mangú, is simply mashed, boiled plantains. Plátanos are what gives Dominican baseball players their strength, at least according to Dominicans themselves. – Dominican Republic closer Fernando Rodney. And win they did. Plátano Power exorcised the Dominican’s demons and the team won by a score of 4-1. This super-powerful plantain propelled the Dominican Republic to a 9-2 victory over the Canadians. But the plantain magic didn’t stop there. Next up was Colombia, the team’s biggest test yet. The up-start Colombians were not expected to do much on paper, but lost to a powerful US team in extra-innings and then defeated a more experienced Canadian team. Again, they played the Dominicans tough. With the score 2-1 in the 8th inning, the Dominicans turned to the plantain’s biggest proponent, Fernando Rodney. Armed with a plantain in his pants and a plantain on his feet, Rodney came into the game and promptly allowed a solo home run to Philadelphia Phillies star prospect Jorge Alfaro. The game was tied. 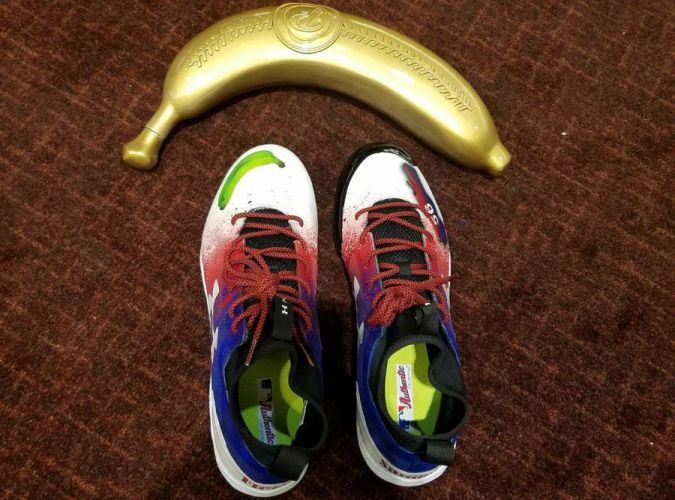 Had the team been depleted of its Plátano Power? Plátano Power works in mysterious ways. Left-fielder Jose Bautista took a bite from the Plátano-of-youth and threw out the potential game-winning runner at the plate. Bautista’s arm hasn’t been that strong or accurate in years. The 11th inning began with two runners on base as per WBC rules. Plátano Power was unleashed; the Dominicans scored seven runs to take the game by a score of 10-3. 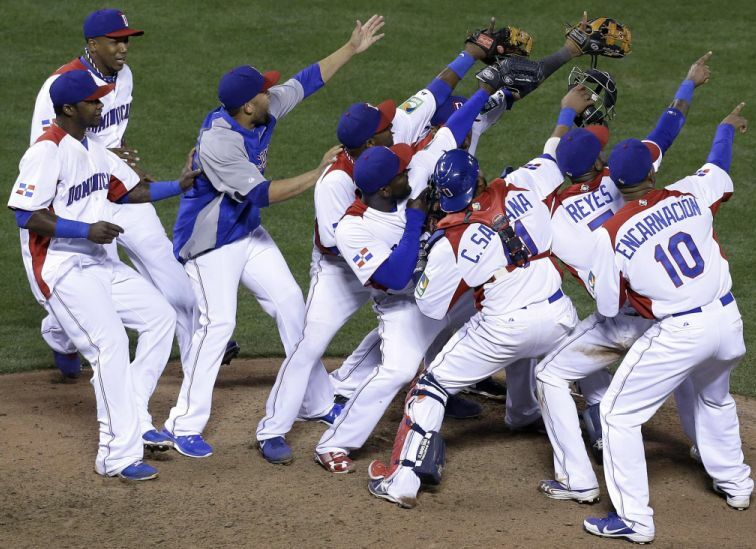 It was the Dominican team’s 11th consecutive win in World Baseball Classic tournament play. In doing so, the Dominicans made it clear that they are not only playing the best baseball of the tournament, but they’re also having the most fun. And that’s what #PlátanoPower is really all about. #Repost @lamelaza_7 ??? Con nosotros noooooooooo klk con klk????? ?